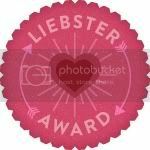 What is a Liebster Award ? 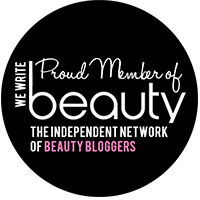 The Liebster Award is given to upcoming bloggers who have less than 200 followers. The word Liebster comes from German and its definition is sweetest, kindest, nicest, dearest, beloved, lovely, kind, pleasant, valued, cute, endearing and welcome. 1. I'm kind of a random friend as known by my friends. 2. I love Hello Kitty, but not that much. 3. Lush Cosmetics are one of the brands which is one of my favourites in my list! 4. I'm a music student and a PT teacher in profession. The main instruments I play would be Piano and Erhu; Guitar and Ukulele would be my second instruments. 5. An avid fan of Westlife's hits, especially I Lay My Love on you and My Love. 6. A bookworm that coops at home/library to read music history-related books and novels from Stephen King and Jodi Picoult. 7. A complete soft when it comes to pets and the topics which interests me much. 8. Loves to DIY when I have the time- wired bookmarks, plaited name chains, scrapbooking, etc. 10. I wear framed spectacles all the time, it's a no-no to risk infections in my eyes for wearing contact lens. 11. Who values friendship, loyalty and expects punctuality all the time. A perfectionist that you would have known. 1. What is your ideal partner for life ? Hmm, I haven't had an answer for this question yet. Still concentrating on my studies and my profession. 2. Where do you always shop for clothes ? Both at stores and online. My favourite sites would be asos.com (A place to get nice blouses and dresses as well as other apparels) and Tracyeinny(A sg-based online store, I love their work dresses- perfect for school and work!). For stores, I'd always like to pop by Sixties at CityLink Mall, Esprit, New Look, etc. 3. Is there someone who knows all about your life(including deep dark secrets) ? 4. If given the chance to be famous for a year, what would you do with it ? I want to go on a world tour with my recitals and repertoire and enjoy myself while getting myself into experiencing all sorts of feelings and situations, which I might be equipped with in the future. Visiting Germany is a must for me, that's where the birth place for most composers. 5. What was your childhood dream ? It was to become someone who I can save the lives of the sickly and poor, but changed tracked eventually as I've realised that what I'm doing in my profession now is really what I've enjoyed most. 6. Do you club ? It's definitely a no-no! I rarely have the time to spare after my evenings. 7. What is the best surprise you ever got ? 8. Where would you want to go for honeymoon ? Probably somewhere related to my music history studies? 9. If you can chose where to be born, where would it be ? I wouldn't prefer to choose as I believe that it doesn't really matter where you come from and where and when you're born- the choice lies with GOD. What really matters for me would be the person's personalities and his/her sincerity and honesty. 10. Do you see yourself married in 10 years time ? 11. What is your ideal career ? 1. Any hobbies and pet peeves? 2. What would be your ideal career in the future? 3. Any plans to venture in the beauty industry on top of your desired career? 4. What's your fashion style? Or rather, what you think you go best with in terms of apparels and style? 5. Any inspiring quotes that keeps the motivation in you? 6. Have you been involved with anything related to music? 7. What sparks your interest in blogging? 8. Do you see yourself as a successful person in 10 years' time? 9. Any must-haves in your bag? 10. Any advice to a healthy lifestyle, especially for teens and young adults? 11. How would you describe yourself as? Sure :) Do follow my 'shifted' blog at wordpress: http://krystaldayys.wordpress.com! Hi! I really like your blog and I was hoping you'd follow me! Thanks! :)I'm having O's so, I'm not blogging currently but I will soon! Do check out my 'shifted' blog at wordpress: http://krystaldayys.wordpress.com!